HOPEWELL, Va. (WTKR) -- Two weeks after a Hopewell third grader discovered his grandfather died of a heart attack, he suffered a stroke. 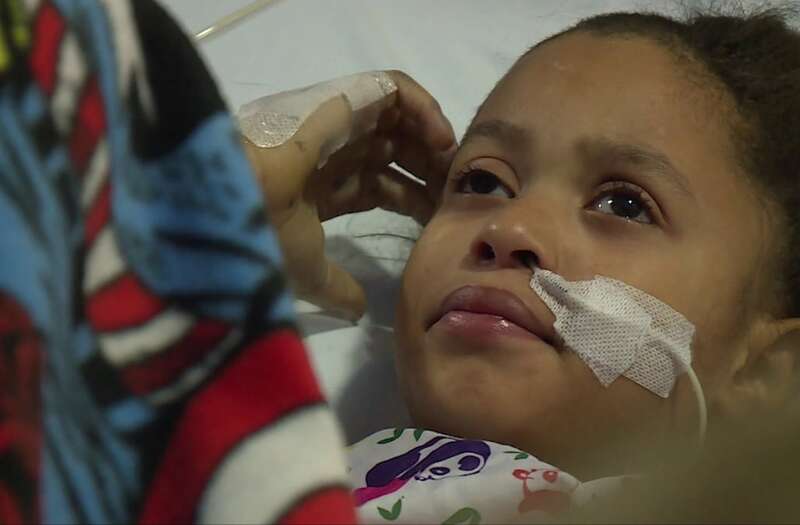 Eight-year-old Jamarion Bryant, a student at Dupont Elementary school, is recovering in the pediatric intensive care unit at the Children’s Hospital of Richmond at VCU. He was transferred there by ambulance from John Randolph Medical Center January 4, after complaining of a headache. “His face got real kind of pale and his mouth… the left side wouldn’t move,” she added. A Virginia mother says her eight-year-old son first complained of a headache before scans showed bleeding and swelling on his brain. Jamarion had to undergo a 12-hour emergency surgery after scans showed bleeding and swelling in his brain. “He had an arterial venous malformation, it’s a little different than an aneurysm but it’s an abnormal group of blood vessels that are weak and they broke, and when they broke he had a hemorrhage inside of his head,” said Dr. Mark Marinello, Pediatric Intensive Care Unit Medical Director at the Children’s Hospital of Richmond at VCU. “They were able to go into his brain and resect all of those weakened blood vessels and remove them to prevent them from bleeding and this happening again,” said Dr. Marinello. Two weeks post-surgery, Jamarion is unable to talk and is experiencing weakness on his left side, but doctors remain optimistic.